These switches have some major changes, the first of which is (although this is a bit hazy as to the full details) a LIMITED LIFETIME WARRANTY, which if true removes a major advantage from some of cisco's switching competitors. The new switches also use the new licensing model. The other extremely exciting part of these switches which I can confirm is a SIGNIFICANT price drop for these models. 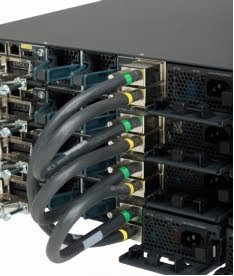 - Enhanced Stacking (StackWise Plus) Offering both backwards compatibility and 64 Gigabits Backplane! Also offers a new technology where by the switches do not have to use the stack ring to send traffic from local ports to another local port. Totally backwards compatibile with the original stackwise so your original 3750's can still be part of the stack. - True, hot-swap stacking via Stack modules for the new 2960! I am truly impressed by this latest announcement from Cisco, they have listened to exactly what the customer has asked for, seen what the competition is doing and have come out and done one better than them. Something you might find useful, is that you can block incoming calls based on the calling number on CME. I hope this helps someone out there, Once when I first started in the VOIP industry I inadvertently helped someone setup there router to send fax-spam. I guess this is my attempt at forgiveness and help you work your way around it!